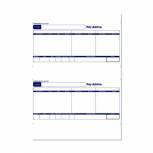 Custom Forms Sage Tape Seal Payslip Mailers 100gsm (Pack of 500) SE100 Pack of 1 Laser pay advice mailer suitable for use with Sage software. No need for separate envelopes. Just remove the tape fold over and seal. Can be used with Sage 2005 Laser Security Payslip software option. Simple instructions in every box. 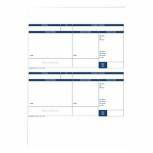 Sage 1-Part Laser Pay Advice Forms (Pack of 500) SE95S Pack of 1 Single part pay advice forms for use with Sage software. Ref: SE95s. Use with SE45 wage envelopes. Suitable for both inkjet and laser printers. 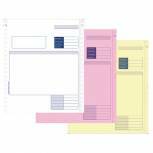 Xerox Premium Digital Carbonless A4 Paper 3-Ply Ream White/Yellow/Pink (Pack of 500) 003R99108 Pack of 1 Premium digital carbonless paper allows you to print your own NCR forms in-house. For use in mono and colour laser printers. 167 sets in 3 part reams. White/yellow/pink. 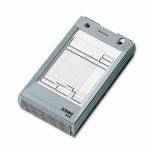 Rexel Scribe 654 Counter Sales Receipt 2 Part Refill (Pack of 100) 71295 Pack of 1 Carbonless paper. Quality copy provided every time. All forms are sequentially numbered - easy to track paperwork. Improves efficiency. Enables you to easily create dual copies for you and your customer. 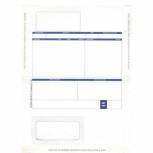 Q-Connect 2-Part Sales Receipt Form White (Pack of 100) KF32108 Pack of 1 Q-Connect Counter Sales Receipt Form. 2-Part Set. 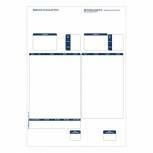 Pre-printed business forms designed to fit Twinlock Scribe Registers. 100 sheets per set. Size: 216x140mm. 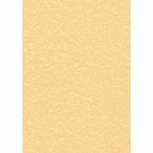 Decadry Parchment A4 Letterhead Paper 95gsm Gold (Pack of 100) PCL1600 Pack of 1 Decadry Letterhead Paper. Guaranteed for use with laser, inkjet and copiers. 100 sheets of 95gsm paper. Size: A4. Colour - Parchment Gold. 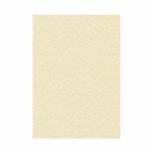 Decadry Parchment A4 Letterhead Paper 95gsm Champagne (Pack of 100) PCL1601 Pack of 1 Decadry Letterhead Paper. Guaranteed for use with laser, inkjet and copiers. 100 sheets of 95gsm paper. Size: A4. Colour - Parchment Champagne. Custom Forms Sage Laser Address Payslips (Pack of 500) SE96S Pack of 1 Single part address pay advice forms for use with Sage software. Ref: SE96s. Fits new release windows versions only. 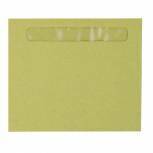 Use with SE46 wage envelopes to show name or SE47 wage envelopes to show name and address. 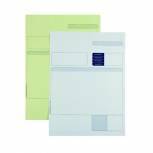 Custom Forms Sage Wage Envelope (Pack of 1000) SE45 Pack of 1 Self seal wage envelopes for use with Sage SE32 and SE95 pay advice slips. Suitable for cash - window reveals employee's name only. Ref: SE45. Size: 107 x 128mm. Custom Forms Sage 1-Part A4 Laser Invoices 90gsm (Pack of 500) SE80S Pack of 1 Single part invoice forms for use with Sage software. Ref: SE80s. Can also be used as a credit note or purchase order. Not for use on dot matrix printers. Custom Forms Sage 2 Part Laser Invoices (Pack of 500) SE82 Pack of 1 Two part collated invoice forms for use with Sage software. Top copy - white, second copy - yellow. Ref: SE82. Can also be used as a credit note or purchase order. 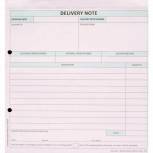 Custom Forms Sage A4 1-Part Laser Sales Ledgers 90gsm (Pack of 500) SE85S Pack of 1 Single part A4 sales ledger/remittance advice forms for use with Sage software. Ref: SE85s. For use with inkjet/laser printers. 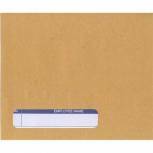 Pegasus Compatible 1-Part Hand-Seal Laser Payslip Mailer MS29S (Pack of 500) Pack of 1 Pegasus Compatible 1-Part Hand-Seal Laser Payslip Mailer MS29S.No need for separate envelope. 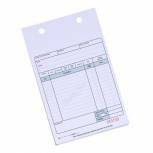 Print payslip then fold over and seal to show the employee's name and address in the window. Not suitable for use with inkjet printers. 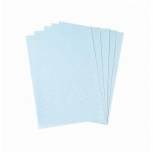 Decadry Parchment Paper Blue (Pack of 100) PCL1686 Pack of 1 Decadry Paper 95g Pk100 Parchment Blue. Real structured parchment papers with a professional texture and feel (A, B and C). Ultra smooth marble effect paper (D). Pack of 100 sheets. A4, 95gsm. 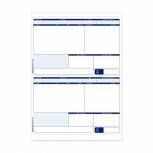 Freeway 1-Part A4 Pay Advice (Pack of 1000) FY95 Pack of 1 Custom Forms. Freeway 1-Part Pay Advice. Pre-printed forms guaranteed to fit Freeway Payroll Software. Each set consists of 2-payslips per A4 sheet. Custom Forms Pegasus Capital/Opera Payslips (Pack of 500) CL95 Pack of 1 Print Factory A4 Pay Advice for use with Pegasus Capital Software. Forms for use with laser or inkjet printers. To be used with PF45 Wage Envelopes. 2-per sheet. Sheet Size: A4. 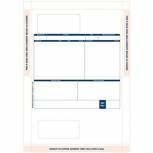 Custom Forms 2-Part Delivery Note White/Pink (Pack of 50) HCD02 Pack of 1 Custom Forms provide a professional image, clean layouts and adequate space for entries. Supplied pre-punched for filing and produce clear carbonless copies. Form size 212x198mm. 2-Part Delivery Note (top copy White, file copy Pink). 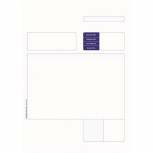 Custom Forms Pegasus Wage Envelopes (Pack of 1000) PF45 Pack of 1 Produced on top quality paper to IS09002 standards, these compatible forms have been designed around print outs of the Software and guaranteed to fit. Self-seal wage envelope PF45. Use with PF42 pay advice. Suitable for cash. Custom Forms Sage 2 Part Dot Matrix Invoices (Pack of 1000) SE02 Pack of 1 Two Part Continuous Invoice Forms for use with Sage Software. Also suitable for use as a credit note or purchase order. Ref: SE02. For use with Inkjet/Laser printers. 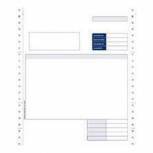 Custom Forms Sage 3 Dot Matrix Part Invoices (Pack of 750) SE03 Pack of 1 Three Part Continuous Invoice Forms for use with Sage Software. White top copy, pink 2nd copy, yellow 3rd copy. Ref: SE03. For use with Inkjet/Laser printers.